Women are encouraged to take videos or photos of themselves wearing white and upload them on social media with the hashtag #whitewednesdays. Beirut: Before she begins her Wednesday morning, Iranian activist Masih Alinejad spends hours sifting through scores of videos and photos sent to her of women in Iran wearing white headscarves or white clothing as part of a growing online protest. "My goal is just empowering women and giving them a voice. If the government and the rest of the world hear the voice of these brave women then they have to recognise them," Alinejad told the Thomson Reuters Foundation by phone. Under Iran's Islamic law, imposed after the 1979 revolution, women are obliged to cover their hair and wear long, loose-fitting clothes for the sake of modesty. Violators are publicly admonished, fined or arrested. She created social media platforms and a website called My Stealthy Freedom where women in Iran take photos of themselves without hijabs to oppose Iran's dress code. 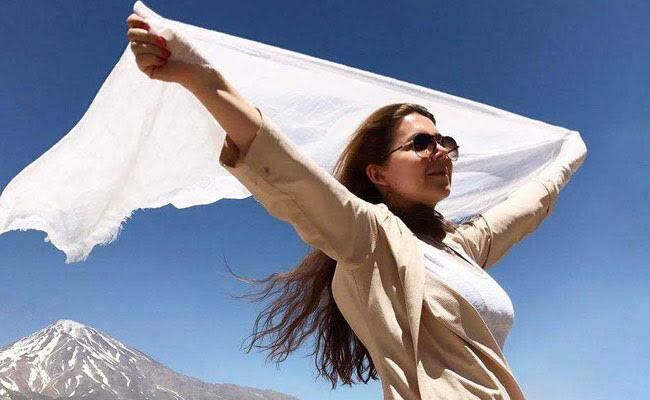 The 40-year-old activist wanted to raise the visibility of her online movement so women could identify each other in the streets of Iran by wearing white, "the colour of peace". "I want people to talk. I want people to have a platform and talk together because having a free conversation is something Iranian society needs," said Alinejad, who now lives in New York. Alinejad said she doesn't consider herself courageous - unlike the Iranian citizens before the lens. "They are more brave ... Honestly, these are the leaders and I am following them," she said.